We have never seen a newborn photo like this before. 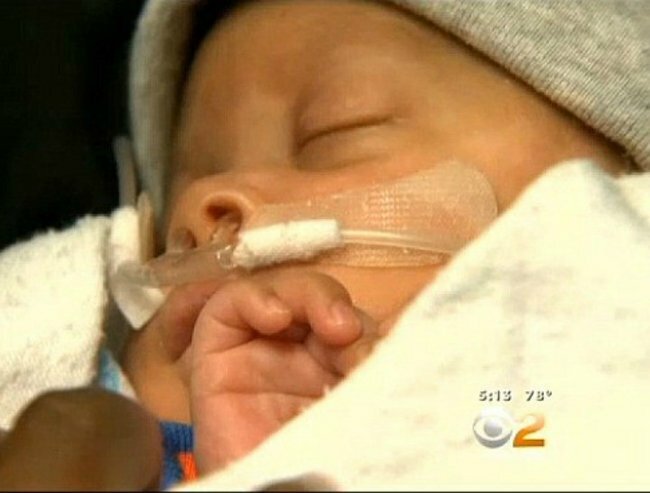 Incredible images show ‘miracle’ baby Silas Philips born three months prematurely, still inside his amniotic sac. 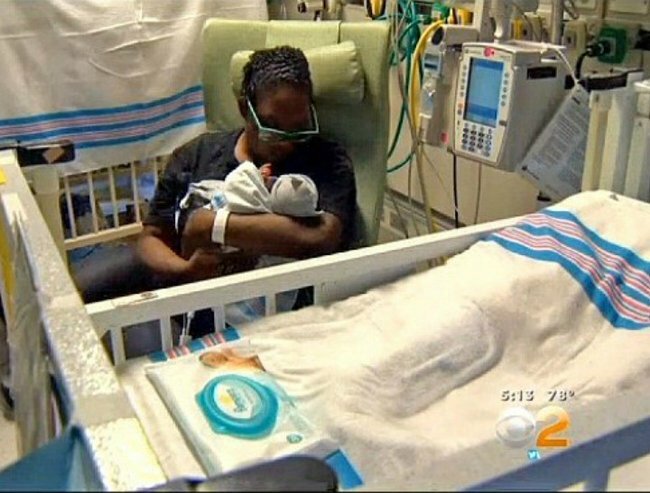 Silas Philips is a “medical miracle” according to the doctors who delivered him at Cedars-Sinai Medical Center in California. 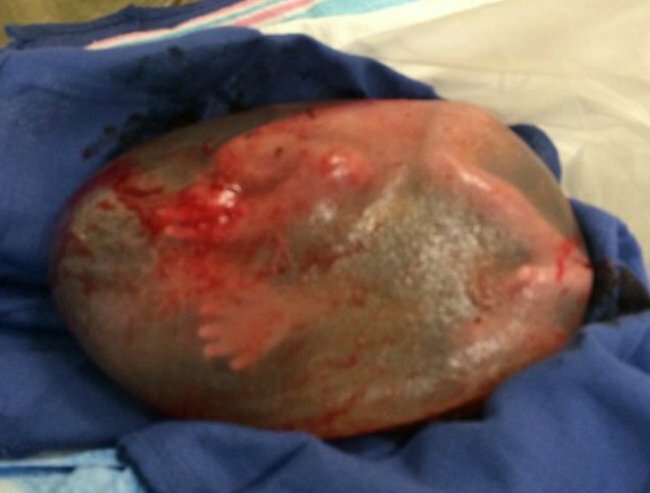 Delivered three months early and by c-section, images below show Silas still curled up inside the protective sac with only his tiny hands and legs visible. Silas Philips moments after he was born. Image via Cedars-Sinai Medical Center. Until the bag was broken, Silas was accessing oxygen through the placenta. Video via Speed it Up! The amniotic bag sits inside the womb as is where the baby develops. The sac protects the baby from external bumps whilst the fluid allows the baby the breath and swallow all while remaining at a constant temperature. Silas’s head and arm can be seen here. Image via Cedars-Sinai Medical Center. The bag is typically meant to break on its own during the birth, which is referred to as the “water breaking”. During a c-section the surgeon cuts through this bag to access the baby. 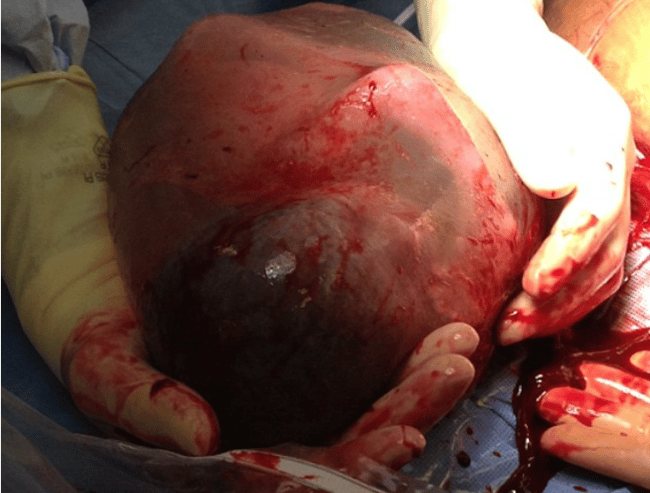 It is extremely rare to be born with the sac still intact – around one in 80,000 births. Or listen on itunes, listen on Soundcloud, or download the audio to your computer. Although born at just 26 weeks, Silas and mother are both doing well and expected to be home within a month the doctors have said. Baby Silas Philips and mother both doing well. Image via CBS LA. Silas Philips. Image via CBS LA. Actress Jessica Alba’s second child Haven was also born with inside her amniotic sac back in 2011. “The doctor had never seen anything like it before. He grabbed the nurse and said: ‘Look at this!” Alba told OK! magazine after the birth. Jessica Alba with daughter Haven. Image via Getty. “I was in the middle of pushing and he told me to hold on a minute and not to push.